What message do all of those quotes convey? That even as an adult, play is extraordinary and necessary! Being an adult is hard, no doubt about it, but it doesn't mean you have to sacrifice your inner child. Play eases daily stress that bubbles up from your job, family life, finances, health, and countless other issues. It warms up our creative brains and jogs our imagination. Plus, it just feels good and natural. Sure, exercise is wonderful for adults in every single way, but your inner child deserves some nurturing too! As a parent, I get to bask in the easy exuberance of my kids; each day is fresh and alive. Wouldn't it be lovely to have that sparkle-eyed outlook again? We don't have the freedom to abandon all responsibilities, but we can invite more carefree fun into our lives. So let's take some baby steps towards less "to-do" and more "to-enjoy"! Here are a few ways that you can play your way to a happy inner child. Rewatch the classics - What are some of your favorite childhood movies? It's heartwarming to think about, isn't it? Why not pop one in and revel in the feel-good nostalgia, snack on popcorn, and sip some hot cocoa? I bet you'll still burst in same the giddy, uninhibited laughter that you did as a kiddo. Plus, you'll get all the hidden jokes and meanings! Skip to my lou, my darlin'! - Or rather, skip to the loo! If you're office-bound for the day, why not add a bit of whimsy to your bathroom trip? I love to skip down the hallway. Wake your body up from all of that sitting! Go for a bike ride - Venture outside the "box" of your car! Driving is a big adult responsibility, so it can feel so liberating to cruise on a bike. The wind plays in your hair and the sun seems more friendly! Your inner child and your heart will thank you. Tell someone they rock - As kids, we loved to tell people we loved them. Our admiration burst out of us like an overstuffed water balloon! As adults, we enter a world of competition and control. We don't have to give up our self-expression, though! Find someone you admire and tell them all about it. It will make their day, and I bet it will make yours too! Let's all sing-along - When you're out on the road alone, do you ever just want to belt out your favorite tunes? Do it! So often, our words get stuck between two extremes: parenting mode and strictly business. Singing can warm your heartstrings and liberate your voice! At the very least, it will be a healthy reminder that other songs exist besides "Let It Go". Play classic games - It's a digital world, my friend. The kids are just hooked on those electronic devices, aren't they? Let's give the screens a break and bring the play to the table or backyard! There are a delightful array of classic games to revive and enjoy. Some family favorites are Monopoly, Scrabble, and Apples to Apples. Even just a simple game of tag in the sun can help you shed that begrudging adult persona. Best of all, you'll have fun with your loved ones; the family that plays together, stays together! 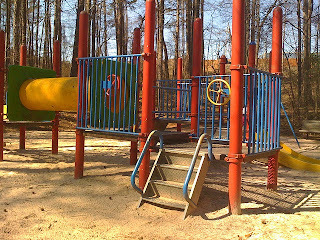 Head to the playground - Ah, the playground! 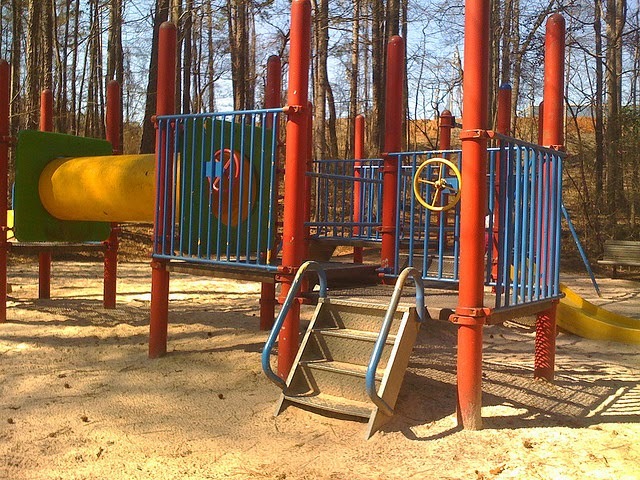 By tagging along with your kiddos on a playground adventure, your inner child will want to come out to play. My girls and I love to swing as high as we can! Not only that, it's a quirky place to squeeze in some effective exercise while your kids run free. Try something new - Kids will leap into an activity without a single drop of self-doubt bruising their enthusiasm. Try that! Choose something new. Anything! Don't imagine how it will play out and don't imagine how you'll mess it up. Just give it a go! You may amaze yourself. Being an adult is tough, but nourishing our inner child can ease tension and help us feel youthful. It can also help us relate to our children and spark spontaneity in our relationships. How do you invite your inner child out to play? The Brain Loves to Play, and Here's Why!